GAINESVILLE, Fla. — Imagine that Labradors and golden retrievers died out a million years ago, leaving only fossilized skeletons behind. Without the help of DNA, how could we determine that a fossil Labrador, a fossil retriever and a modern Chihuahua all belong to the same species, Canis lupus familiaris? And could we look at the wide variety of dogs today to gain clues about lost diversity in the past? A new study by Florida Museum of Natural History researcher Natasha Vitek shows how scientists can use animals' physical features – also known as morphology – to make connections between a modern species and its fossilized relatives, even if they look strikingly different. "We can't magically create more fossils," said Vitek, a doctoral candidate in vertebrate paleontology. "A lot of it is trying to figure out what we can do with what we have at hand to find diversity within a species – diversity we no longer have." 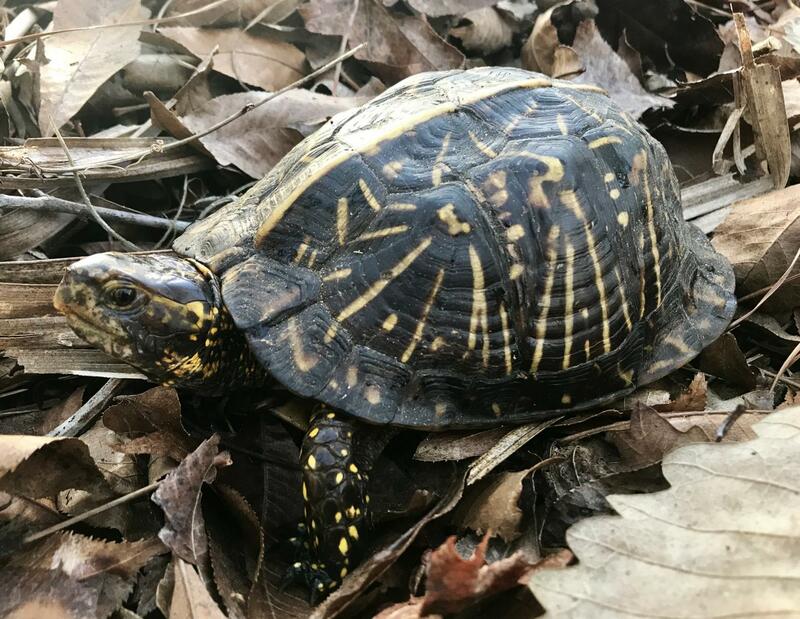 She used eastern box turtles, Terrapene carolina – a species that comes in all kinds of shapes, sizes and colors – to make links between the rich variation in modern specimens and their fossil relatives from as far back as the Pleistocene, from about 2.6 million to about 11,700 years ago. In doing so, she was wading into a debate about eastern box turtle variation that has lasted more than 80 years, with some scientists suggesting that fossil and modern box turtles are all the same species, while others – pointing to a distinction in size or shape – hypothesizing that some fossils represented a separate, extinct species. Some researchers have also argued that certain subtle differences between fossils are evidence of various subspecies. "This allows you to see how that overall constellation of points is changing from shape to shape," Vitek said. "You might see whole new patterns you would never have thought to measure before and capture things like curvature – things that are really hard to measure in just a single linear feature."